Menager, M. M. and Littman, D. R. (2016). Actin Dynamics Regulates Dendritic Cell-Mediated Transfer of HIV-1 to T Cells. Cell 164(4): 695-709. Huang, W., Thomas, B., Flynn, R. A., Gavzy, S. J., Wu, L., Kim, S. V., Hall, J. A., Miraldi, E. R., Ng, C. P., Rigo, F., Meadows, S., Montoya, N. R., Herrera, N. G., Domingos, A. I., Rastinejad, F., Myers, R. M., Fuller-Pace, F. V., Bonneau, R., Chang, H. Y., Acuto, O. and Littman, D. R. (2015). DDX5 and its associated lncRNA Rmrp modulate TH17 cell effector functions. Nature 528(7583): 517-522. Sellars, M., Huh, J. R., Day, K., Issuree, P. D., Galan, C., Gobeil, S., Absher, D., Green, M. R. and Littman, D. R. (2015). Regulation of DNA methylation dictates Cd4 expression during the development of helper and cytotoxic T cell lineages. Nat Immunol 16(7): 746-754. Ciofani, M., Madar, A., Galan, C., Sellars, M., Mace, K., Pauli, F., Agarwal, A., Huang, W., Parkhurst, C. N., Muratet, M., Newberry, K. M., Meadows, S., Greenfield, A., Yang, Y., Jain, P., Kirigin, F. K., Birchmeier, C., Wagner, E. F., Murphy, K. M., Myers, R. M., Bonneau, R. and Littman, D. R. (2012). 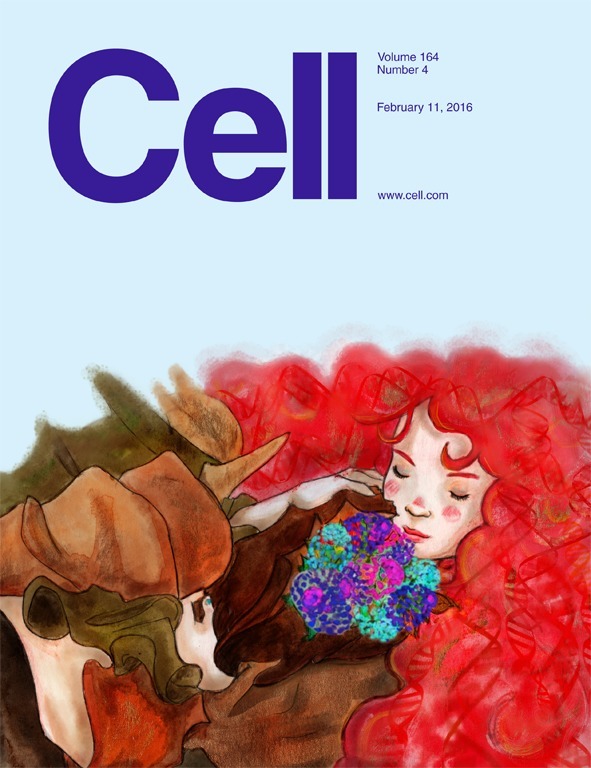 A validated regulatory network for Th17 cell specification. Cell 151(2): 289-303. Manel, N., Hogstad, B., Wang, Y., Levy, D. E., Unutmaz, D. and Littman, D. R. (2010). A cryptic sensor for HIV-1 activates antiviral innate immunity in dendritic cells. Nature 467(7312): 214-217. Egawa, T. and Littman, D. R. (2008). ThPOK acts late in specification of the helper T cell lineage and suppresses Runx-mediated commitment to the cytotoxic T cell lineage. Nat Immunol 9(10): 1131-1139. Ivanov, II, McKenzie, B. S., Zhou, L., Tadokoro, C. E., Lepelley, A., Lafaille, J. J., Cua, D. J. and Littman, D. R. (2006). The orphan nuclear receptor RORgammat directs the differentiation program of proinflammatory IL-17+ T helper cells. Cell 126(6): 1121-1133. Taniuchi, I., Osato, M., Egawa, T., Sunshine, M. J., Bae, S. C., Komori, T., Ito, Y. and Littman, D. R. (2002). Differential requirements for Runx proteins in CD4 repression and epigenetic silencing during T lymphocyte development. Cell 111(5): 621-633. Sun, Z., Unutmaz, D., Zou, Y. R., Sunshine, M. J., Pierani, A., Brenner-Morton, S., Mebius, R. E. and Littman, D. R. (2000). Requirement for RORgamma in thymocyte survival and lymphoid organ development. Science 288(5475): 2369-2373. Deng, H., Liu, R., Ellmeier, W., Choe, S., Unutmaz, D., Burkhart, M., Di Marzio, P., Marmon, S., Sutton, R. E., Hill, C. M., Davis, C. B., Peiper, S. C., Schall, T. J., Littman, D. R. and Landau, N. R. (1996). Identification of a major co-receptor for primary isolates of HIV-1. Nature 381(6584): 661-666. Sawada, S., Scarborough, J. D., Killeen, N. and Littman, D. R. (1994). A lineage-specific transcriptional silencer regulates CD4 gene expression during T lymphocyte development. Cell 77(6): 917-929. Killeen, N. and Littman, D. R. (1993). Helper T-cell development in the absence of CD4-p56lck association. Nature 364(6439): 729-732. Killeen, N., Moriarty, A., Teh, H. S. and Littman, D. R. (1992). Requirement for CD8-major histocompatibility complex class I interaction in positive and negative selection of developing T cells. J Exp Med 176(1): 89-97. Turner, J. M., Brodsky, M. H., Irving, B. A., Levin, S. D., Perlmutter, R. M. and Littman, D. R. (1990). Interaction of the unique N-terminal region of tyrosine kinase p56lck with cytoplasmic domains of CD4 and CD8 is mediated by cysteine motifs. Cell 60(5): 755-765. Norment, A. M., Salter, R. D., Parham, P., Engelhard, V. H. and Littman, D. R. (1988). Cell-cell adhesion mediated by CD8 and MHC class I molecules. Nature 336(6194): 79-81. Landau, N. R., Warton, M. and Littman, D. R. (1988). The envelope glycoprotein of the human immunodeficiency virus binds to the immunoglobulin-like domain of CD4. Nature 334(6178): 159-162.